American group Mayday Parade burst onto the music scene in 2005 after the merging of Tallahassee bands Kid Named Chicago and Defining Moment. Their distinctive catchy punk-pop style and high-energy performances quickly caught the public's attention and soon they were headed for the big time. In 2007 they released their first studio album, A Lesson in Romantics. The band's second studio album, Anywhere But Here, was released in 2009, and 2011 saw them release a third self-titled studio album. Their sixth and latest album, Sunnyland, came out this summer. 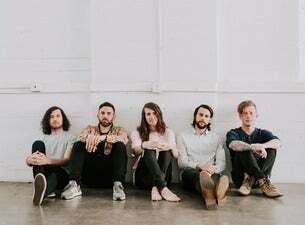 Known for their energetic live shows, Mayday Parade have announced a UK co-headline tour with The Wonder Years in early 2019.